My husband, 5 year old daughter, and I recently spent 6 days in Hong Kong. Since we are Disney fans (as you can probably tell by all my Disney posts on the blog), we spent quite a bit of time exploring Hong Kong Disneyland during our visit. Before our trip, I had quite a difficult time finding English-language information about this park (with the exception of these 5 great Hong Kong Disneyland trip planning sites). I’m used to meticulously planning my Disney vacations using programs like Ridemax, carefully researching the best ways to avoid the crowds and get the most attractions and experiences squeezed into the day. With so little information out there about Hong Kong Disneyland, I simply couldn’t do the same level of planning. Many of the reviews I read claimed that the park was never very crowded and stated that you could see everything there was to see in a single day. I’m here to tell you that the conventional wisdom about Hong Kong Disneyland is not exactly right! The park can be very empty at times, but we also saw firsthand that there are days and times where the lines can rival a busy day in Anaheim. We spent a full day plus two evenings in the park and still couldn’t see it all. If you are in Hong Kong for a few days, do everything in your power to time your visit to Hong Kong Disneyland on a weekday. We managed to time our full day in the park on a Thursday, and we experienced minimal lines almost the entire day. When we returned to the park for a half day on Saturday, however, the lines had more than quadrupled. As is the case in Anaheim, lots of locals have annual passes and you should expect the park to be packed on weekends. Don’t get caught up in these lines if you can help it. We arrived to find Fantasyland completely empty at park opening time. This wisdom holds true for all Disney parks, but it is even more true in Hong Kong. Hong Kong is like New York — stay up late at night and start the next morning late. Consequently, Hong Kong Disneyland doesn’t open until 10 am most days. But apparently 10 am is still too early for most Hong Kong residents, because the park was close to empty at rope drop. We walked on ride after ride for the first two hours the park was open. It really didn’t get busy most days until around lunchtime. And 3:00-5:00 seemed to be the busiest time of the day. So, if you can start your day earlier than the locals, you can really avoid the crowds. 3) Don’t be distracted by the characters! We still made plenty of time to meet Disney characters galore… but we timed our visits strategically. My family loves character meet-and-greets as much as any Disney fan, and we always make sure to schedule time to meet Mickey, Minnie, and the rest of the crew. Character meet-and-greets seem to be especially popular in Hong Kong Disneyland. They are so popular that everyone who arrives early to the park seems to stop for the first character they see. At rope drop, we saw lines already 50+ people deep for Mickey and Duffy in Main Street. We were sorely tempted to stop too, but we instead made a beeline for Fantasyland only to find it was completely empty. We had a chance to see Mickey at our character dining earlier that morning, and we were better able to use the time for rides before everyone else had delved deeper into the park. And we made sure to visit characters at other moments later in the day, when all the lines for everything were long. As you can see by the map, the Hong Kong Disneyland Hotel is not that much further from the park entrance than the Public Transport Interchange where the hotel shuttles drop off. We found the layout of Hong Kong Disneyland a bit odd, as the park entrance is located down a long promenade. As a result, you have to walk quite a bit to reach the park entrance. Guests from the two Disney hotels are dropped off by shuttles at one end of this promenade and walk past the Disneyland subway station and a large fountain before getting to the park. We thought this was strangely inefficient — to shuttle guests just to have them also walk 5-10 minutes to the actual entrance. If you are staying at the Hong Kong Disneyland Hotel, it may make sense for you to skip the shuttles, at least during the busiest times. You can instead walk to the park from the hotel. The walk is only about double the length of that long walk down the promenade from where the shuttles pick up and drop off. We found we could make it between the park and the hotel in about 12 minutes. Note, however, that Disney’s Hollywood Hotel is a much further walk. Guests there need to be prepared to use the shuttles. And note that a brisk 12 minute walk probably won’t be a good choice for you unless your child is still in a stroller or old enough to walk long distances. It was too much for our 5 year old, so she rode on dad’s shoulders quite a bit. But this can be a great alternative for certain times when there are waits for the shuttles, such as at park closing. Every Disney park has it… an attraction that is wildly popular but that has such low capacity that the lines build up and only get worse as the day goes on. In Anaheim, that ride is Peter Pan’s Flight. In Hong Kong Disneyland, it is Autopia. The ride holds many fewer drivers than the attraction does in the United States parks. Ride it within an hour of morning rope drop or don’t ride it at all. We saw wait times of 40+ minutes even at the end of the night on a weekday. That’s way too long for a ride that I don’t really like that much anyway. Excited to ride her favorite Hong Kong Disneyland ride, with Fastpass at the ready! Just as in Tokyo Disneyland, Winnie the Pooh is one of the most popular attractions. Luckily, Hong Kong Disneyland offers Fastpass for the attraction, which allows you to cut all but about the last 3-5 minutes of waiting time on the ride. Since Hong Kong Disneyland doesn’t offer many rides with Fastpasses (when we were there, only Space Mountain and Winnie the Pooh were offering Fastpass), you can easily grab multiple Fastpasses for this ride throughout the day and ride it many times with minimal waiting. This is probably my daughter’s favorite ride at the moment, and we were able to ride it 5 times during our stay. We thought Festival of the Lion King was a breathtaking and entertaining show. We made a point to see both of the live action shows that were playing at Hong Kong Disneyland, and I’m so glad we did. We usually avoid the shows when we visit Disney parks, opting instead to ride certain rides multiple times. But the shows at Hong Kong Disneyland were worth it. We thought the Festival of the Lion King was probably the best theme park show we had ever seen. It had excellent talent and was just visually exciting, with moving floats presented in a theater in the round. We also really enjoyed The Golden Mickeys, a musical revue of some great Disney classics. The “story” between the musical numbers was presented in Cantonese with English subtitles so it felt truly like a local experience. Our daughter loved singing along to some Disney classics and being exposed to some of Disney’s more obscure movies too. Hong Kong Disneyland very recently introduced Disney’s PhotoPass service to the park. 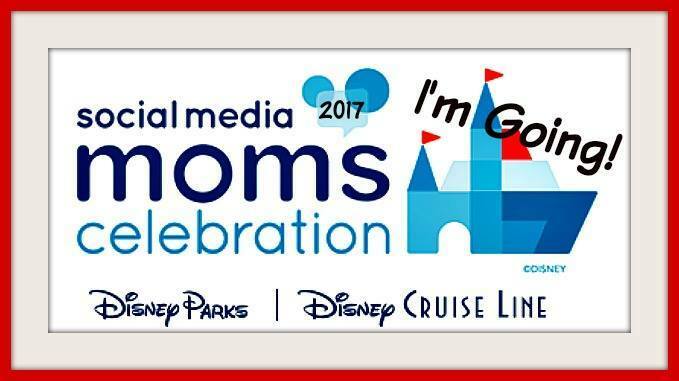 I was so excited when I heard this news just a few weeks before leaving on our trip, as my family always buys PhotoPass on our Disney vacations. I was less thrilled after we took a few photos with a PhotoPass photographer the first evening in the park and were given slips of paper rather than a PhotoPass card with a scannable bar code. We were told we had to redeem those slips by the end of the day, rather than wait until the end of our vacation to buy PhotoPass to cover multiple days, as is the case in Disneyland and Walt Disney World. If you are used to PhotoPass from the United States parks, be aware that it works differently in Hong Kong (at least for now – perhaps it will evolve as they roll out more technology there). For now, you need to keep track of your photo slips and redeem photos the same day you take them. The single day PhotoPass option is offered at HKD $398 (about $51 USD). It is still quite a bit cheaper than in Disneyland or Walt Disney World, but it should be as it is only a one day pass. Your best bet if you are visiting the park for multiple days is to pick your longest day to be your PhotoPass day and try to get as many photos as you can that day so you only need to buy the PhotoPass once. Use your own camera on other days — cast members are always happy to take photos for you. 9) Have your kids collect stickers! Proudly displaying her Hong Kong Disneyland sticker haul back home. One of the unique aspects of Hong Kong Disneyland is that all the cast members have stickers in their pockets that they love giving away to kids. Our redheaded daughter charmed quite a few cast members and came away with nothing short of a sticker haul. She loved going on the hunt each day for ones that were not yet in her collection. The addition of these three new lands the last few years has expanded the Hong Kong Disneyland attractions considerably. The conventional wisdom is that Hong Kong Disneyland is a one day park, but I think this advice is outdated. With three new lands having opened in the past few years (Grizzly Gulch, Mystic Point, and Toy Story Land), it has enough to keep even a moderate Disney fan busy for more than one day. If you want to have time to truly explore the shopping, shows, restaurants, and character meet-and-greets (rather than just ride each attraction once and move on) you will need more than one day. The park still doesn’t offer as much as Anaheim or the Magic Kingdom in Walt Disney World, but it is a full-fledged theme park with plenty to offer. Thanks, our family are big Disney fans too but we’ve never really considered doing Paris or Hong Kong because we thought they wouldn’t be a patch on Florida. Maybe we’ll give it a go! Great post & I will definitely be following your advice for our trip in July this year! Thank you so much. We are from Australia and I have only been to Disneyland as a child. We are taking the kids to Disney Hong Kong next year so have devoured your wonderful advice! Thanks for this super useful post – it was a great resource when planning our trip! I have included a link to it on our post about visiting HK Disneyland at HappyGoKL. Happy travels! Thanks for the heads up. Informative and concise. All tips logged into our forthcoming visit. Thanks for dropping by and glad you found the advice accurate as a HK local with so much experience. I guess the only answer I have for you is that I am just such a frequent Disneyland and Disney World visitor that I know what patterns to look for and researched, planned, and observed accordingly. I was frustrated in planning my visit with how little English language info there was out there for “doing” Hong Kong Disneyland like so many Disney fans in the US “do” the parks here, so I made it my mission to learn how to make the most of a visit there. Can’t wait to go back – we loved our visit and are also hoping for Shanghai in 2016. Hi! Does having a PhotoPass allow you to download all the photos taken by authorized photographers during your visit at the park? Or will you only be able to download the photos after purchase? Hi, Where did you stay when you visited Hong Kong DIsneyland? Thanks for the information. We will be visiting disneyland hongkong this august.It will be a great help. I’m planning to visit Hong Kong in early December and stay there for 5 days. Should i bring coat? Or light jacket would be sufficient? Hello, thank you for the great write up. I am stopping in Hong Kong for 2 nights, 3 days with my 2 daughters who will be 6 and 4 at the time, it will just be the three of us. I really want to take them to Disneyland and also see Hong Kong. I will be flying from Ireland so we wil be tired on landing so plan on going on the Friday and then fly the Saturday night. Am I best to stay in Kowloon and just spend the day is Disney with my two girls? Are buggys for hire there?? I appreciate your feedback on this. Or do you think we are just beeter to spend the two nights in Disney and head into Hong Kong for one of the evenings?? It wil be my first time travelling as just three of us. What month did you go? What was the weather like? I really do appreciate you sharing this information! My daughter and I will be in Hong Kong in May and we are both Disney tragic’s. (BTW – she’s 22) This is our trip of a life time and the fact that we can Disney-fy it is tremendous!